HTC promised a big announcement and it looks like they've delivered what we expected: a improved-touchscreen version of of the Elf. HTC's Flash-based site, http://www.htctouch.com/, shows off the new UI goodness. The key point seems to be that it can easily detect sweeps of your finger and that it can tell the difference between a stylus and a fingertip and adapt accordingly. HTC calls it TouchFlo and we call it "not quite as good as the iPhone" - this doesn't appear to be geniune multitouch, my friends. Nevertheless, the new UI they've slapped on top of Windows Mobile 6 is very lickable - it basically takes the idea of SPB Mobile Shell a few steps forward. Alluring wasabi green, eh? Spicy! It's available in the UK now and should hit the US a bit later. Check out more photos of the Touch after the break. 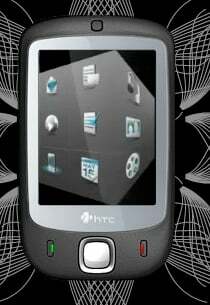 Be sure to head over to http://www.htctouch.com/ and click "Want" -- they're giving one away. Update: Check out the unwired's video of the interface.